It was 50 years ago today – November 22, 1967 – that Otis Redding recorded “(Sittin’ On) The Dock Of The Bay.” It would become the singer’s only song to reach #1 on both the R&B and pop charts. Sadly, that milestone was reached just months after Redding had passed away in a plane crash. Today, the melancholy ballad with its signature whistled outro remains one of the most beloved songs in music history and the cornerstone of Redding’s hugely influential catalog. The track continues to transcend generations, holding the distinction of being one of a handful of songs from the ‘60s to have over 100 million streams on Spotify. Rhino will reissue “(Sittin’ On) The Dock Of The Bay” as a 7” single on January 9, which is one day after the 50th anniversary of the song’s original release date. 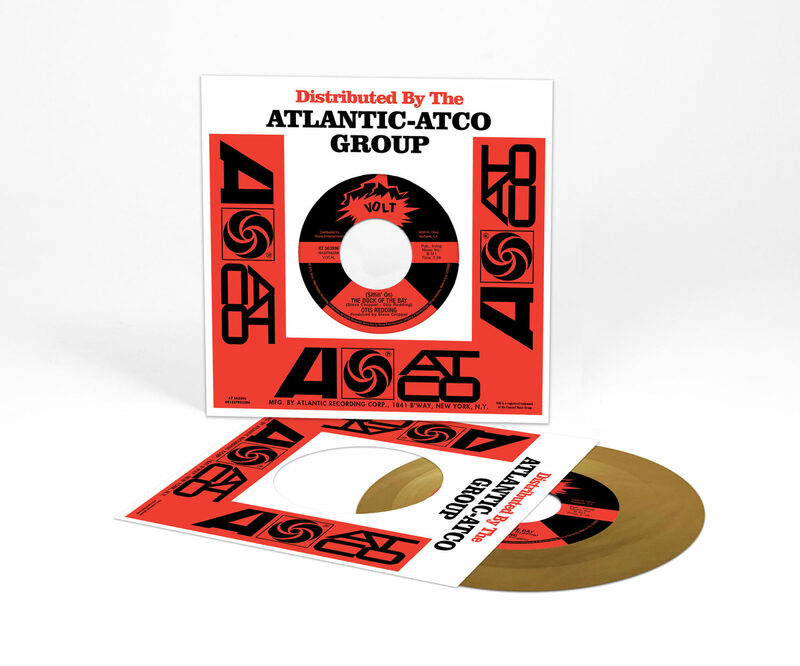 Pressed on gold vinyl to mark the golden anniversary, the single will be available for $7.98. A detailed reproduction of the original mono single, it features the b-side “Sweet Lorene,” is branded as a Volt release, and comes in a die-cut sleeve like those used by Atlantic Records, which distributed Stax/Volt Records at the time. The Otis Redding Foundation is pleased to announce An Evening of Respect: Celebrating Otis Redding & 50 Years of “(Sittin’ On) The Dock Of The Bay” on Thursday, January 25th at the legendary Apollo Theater in New York City. The benefit show will be hosted by Whoopi Goldberg and feature performances by the Dap-Kings and very special guests. The event will feature a pre-show cocktail reception fundraiser for the Otis Redding Foundation. Tickets go on sale next Tuesday, November 28th at Ticketmaster.com with a special American Express pre-sale starting today. The upcoming single is the first of several releases Rhino is planning to celebrate the 50th anniversary of “(Sittin’ On) The Dock Of The Bay.” Additionally, The Definitive Studio Albums Collection, a seven-LP vinyl boxed set features mono mixes for all of Redding’s studio albums, from 1964’s Pain In My Heart to 1968’s Dock Of The Bay, is due out on December 15. Today, the timeless appeal of “(Sittin’ On) The Dock Of The Bay” continues to transcend generations and genres, with Rolling Stone ranking it #26 on their “500 Greatest Songs Of All Time” and Pitchfork calling it “as immortal a song as R&B ever produced.” The list of artists who have covered or remixed the song through the decades is as long as it is diverse and includes everyone from Michael Bolton to Pearl Jam and Justin Timberlake to Sergio Mendes. Live At The Whisky Earns A Grammy Nomination!